The Catholic Youth of Miao Diocese came together for a mega Youth Convention and Animation Programme for four days from 22nd to 25th May, 2014 at Light of the World School, Miao, with the theme ‘Youth for Social Transformation’. The Spiritual Revival Ministry Team from Bangalore, led by Bro. 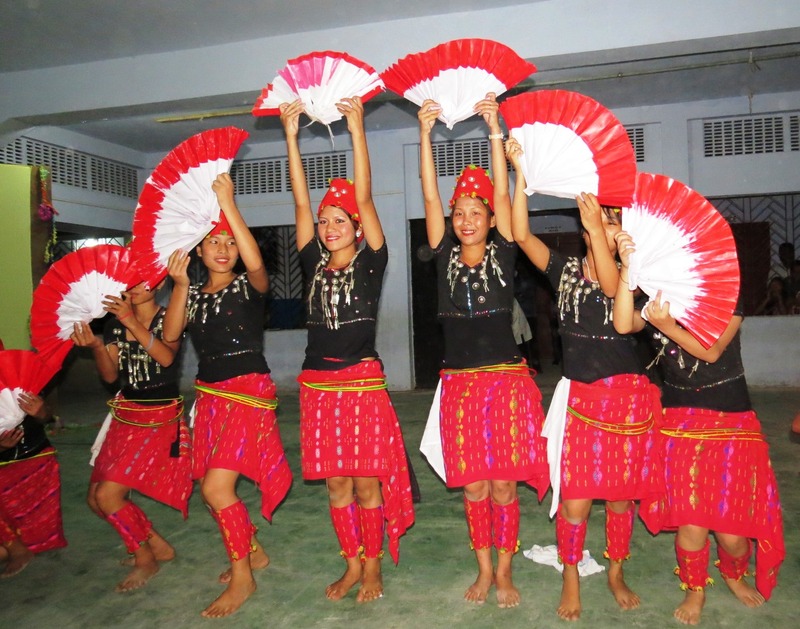 Xavier animated the 1300 youth delegates gathered from the seven Districts of East Arunachal Pradesh. Bishop George, inaugurating the Youth Convention said, “I am overwhelmed to see so many of our future leaders of our society and of the Church. Thank you very much for responding in such a large number. Please know that you have come to share and experience the joy of being Catholic and to be animated by the Spirit so that you could indeed become the agents of the transformation that our society needs.” He also added a word of caution to the youth about the growing number of drug addicts among the youth in the region and how it destroys them and the society. “You are the future. You are our hope. You can make our society or break it. I request each one of you to take a strong pledge against drug and all other addictions”, he added. The election of new Diocesan Youth Representatives was the highlight the event. We thank our North East Regional Youth Commission, Sr. Regina, the Regional Youth Director, in particular for encouraging us with her presence and helping us with the election of new office-bearers. Here is the list of new Diocesan Representatives for the next two years. President – 1. Miss Sanlih Wangsu (Borduria Parish) 2. Vice President – Mr. Thomas Lowang (Deomali Parish) 3. Secretary – Mr. Abraham (Kolam Parish) 4. Assistant Secretary – Miss Naina Chai (Tezu Parish) 5. Treasurer – Miss Moinem Chithan (Miao Parish) 6. Spokesperson – Mr. Francis Sena (Nampong Parish) 7. Cultural Secretary – Miss Sheela Wangno (Rajanagar Parish) and 8. Cultural Secretary II – Dingwang (Roing Parish). “We congratulate the new Diocesan Youth Delegates and wish them God’s blessing to lead the youth of our Diocese to become agents of social transformation and grow in faith in our Lord Jesus Christ’, said Fr. Felix at the end of the election. Together with the spiritual animation by the SRM team, the youth also participated in many competitions with enthusiasm and energy. The winning teams were awarded with trophies and overall champion parish took home a Rolling Champion Trophy, which this year was won by the Miao Parish. “It’s not about winning or losing. But it is about getting an opportunity represent my parish and show our talents that God has given us. We thank the Diocesan Youth Commission for bringing us all together to know and learn about the many rich and diverse cultures we have in the Diocese. It is so beautiful feeling to know that we all belong to one family of Diocese of Miao”, said Demcha Abo, a youth delegate from Deomali Parish. To show case and promote the rich and varied cultures our Diocese has, a cultural fashion was organized on the concluding day of event. The youth, one boy and a girl, from each Parish walking on the stage in their traditional costumes, was not only feast to the eyes but also gave us a glimpse of the rich culture that our Diocese has. We thank our Bishop George Pallipparambil for his care, concern, guidance and encouragement. We thank the resource persons for helping the youth grow spiritually stronger. We thank the Fathers and Sisters for their help and support towards the event. We also would like to express our gratitude to our friends who helped us arrange the stage and the programme venue. We also thank each of the Youth for their cooperation, enthusiasm, the attitude of helping and sharing.